Chinese herbal medicine refers to the use of plants, along with some mineral and animal extracts, to prevent and treat diseases and conditions. A single herbal ingredient or mix of herbs may be recommended to patients based on their individual health needs. Herbs can be taken in various forms, including pills, teas, powders, syrups, and tinctures. At Mosher Health in San Diego, functional medicine in the form of Chinese Herbs, acupuncture, and advanced nutrition is offered at our practice. Dr. Bret Mosher combines modern technology and ancient healing therapies to restore balance, strengthen immunity, and achieve optimal health for our patients. Less likely to produce ill side effects: Medications come with a long list of possible side effects and contraindication warnings. Adverse side effects as mild as nausea and fatigue or as serious as liver damage or stroke can result from use of medications. Herbal medicine is associated with a reduced risk of side effects. No chemicals or toxins: The medications manufactured by pharmaceutical companies contain synthetic ingredients and chemicals that are toxic, especially when taken over a lengthy period of time. Chinese herbs are far less toxic; all natural herbs nurture the body rather than harm it. Treats the actual source of the disease: In Western medicine, many treatments are aimed at masking the symptoms of diseases and conditions rather than treating the problems that cause the disease. Herbal therapy is formulated to correct the body imbalances that cause disease and promote an overall healthier body that is more resistant to disease. Improved immune function: Chinese herbs do not suppress the immune system, as many Western medications do. Herbs can actually improve the function of the immune system. Disease prevention: Chinese herbs promote improved health throughout the entire body. This, along with a strengthened immune system, helps to prevent the serious conditions and diseases that worsen a patient's quality of life. For our patients in San Diego, Chinese herbs are prescribed after a comprehensive examination with Dr. Mosher. 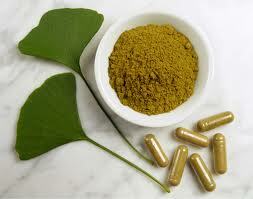 We offer Evergreen herbal supplements, which are the safest and purest herbs available. Regular use of these herbs can improve the health of your entire body. To schedule an appointment regarding the use of Chinese herbs, contact Mosher Health today. A member of our staff will be happy to schedule an appointment for you at your earliest convenience.